Want to shake up your breakfast this week? 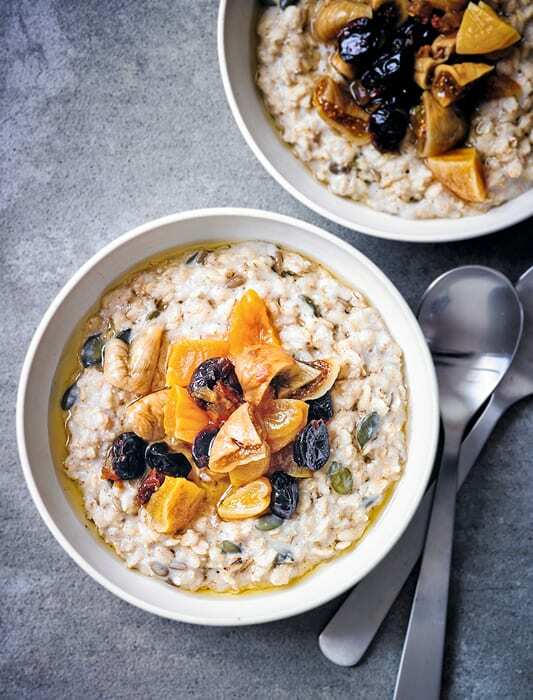 Pimp your usual overnight oats recipe with some dried fruit, we guarantee you will be hooked. Full of fiber and bursting with goodness, this will keep you full and satisfied until lunch. Place the oats, pumpkin, sesame and sunflower seeds and almond milk in a large bowl. Stir in the cinnamon. Place the dried fruits in a separate bowl and pour in enough cold water to come about 2cm above the level of the fruits. Cover both bowls with clear wrap and set aside in a cool place to soak overnight. Drain the soaked fruits. Serve the hot porridge topped with the fruits and a sprinkle of extra nuts if you wish.